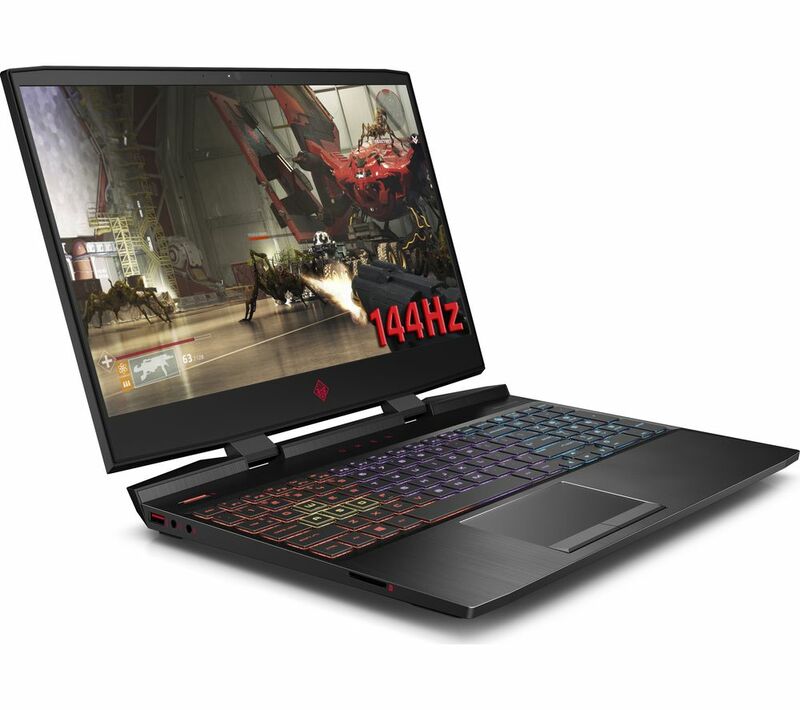 The HP OMEN gaming laptop is kitted out with a 8th generation Intel Core i7 processor, 16GB RAM and a beefy GeForce GTX 1070 graphics card this beast is going to be able to handle just about anything you throw at it; be it numerous work applications, 3D gaming or editing high resolution pictures and videos. Super space With a huge amount of storage space, the HP OMEN provides you with loads of room for all your software, work documents, high resolution photos, music and videos. Great entertainment Thanks to its 15.6”, Full HD screen, viewing your high resolution photos, films and videos will be a pleasure. It has been designed to convey immersive images and it makes for a great casual gaming and multimedia experience. Connecting your other devices The USB ports allow for fast data transfer, while the HDMI port enables the option for large screen presentations. The SD card slot offers a convenient way to upload your photos and videos. Additionally, Bluetooth can help to send data wirelessly between devices. 3 Looking for a case? Take care of your new equipment with one of our cases. Please click here to browse the range. 3 Do you need a gaming keyboard, gaming mouse or a gaming headset? Like any professional, to win tournaments you need skill, dedication and the right equipment to see the job through. Please click here to browse our gaming peripherals range. 3 Thought about Added Care? No one ever means to drop their prized device regrettably, we've all done it. Please click here to see if Added Care could provide you with extra peace of mind when using your technology.